The sub culture of skiing is one we tried to pledge back when neon snow pants were publicly accepted and bunny hills were large enough to be a threat. After one fall, we quickly pledged allegiance to snowboarding. Ce’st la vie. The subculture of skiing has always appealed to us; the balance of beauty and ease with which skiers fly over snow peaks; the camaraderie between them as they sip hot chocolate at the lodge, the almost comical way the giant skis become a seamless extension to the skier’s body. 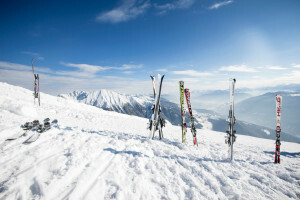 Why Ski The Dolomite Mountains? If skiing is an art, then the Dolomites are its canvas. 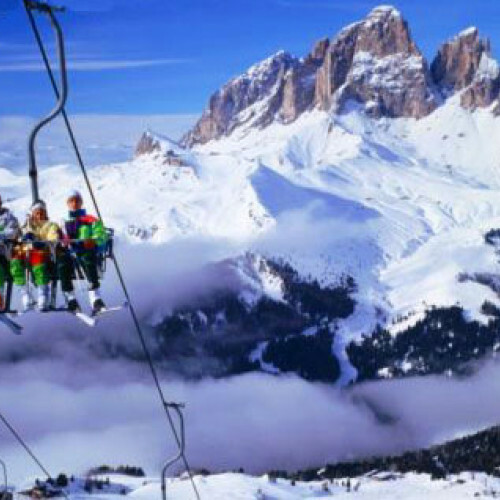 Considered the most beautiful mountains in the world, the Dolomites are in Italy and said the be one of the most thrilling spots to ski in the world. Offering 12 skiing areas, state-of-the-art life facilities and 1,200 km of snow, sunkissed and enticing slopes, the Dolomites are even deemed a UNESCO World Heritage Site. Sure, you can go skiing in one of those tragic upstate resorts with fake snow, but with the Dolomites only a flight away--why bother? Hit the slopes in style, glide in ease alongside other skiers and have a winter holiday you’ll remember for ages.